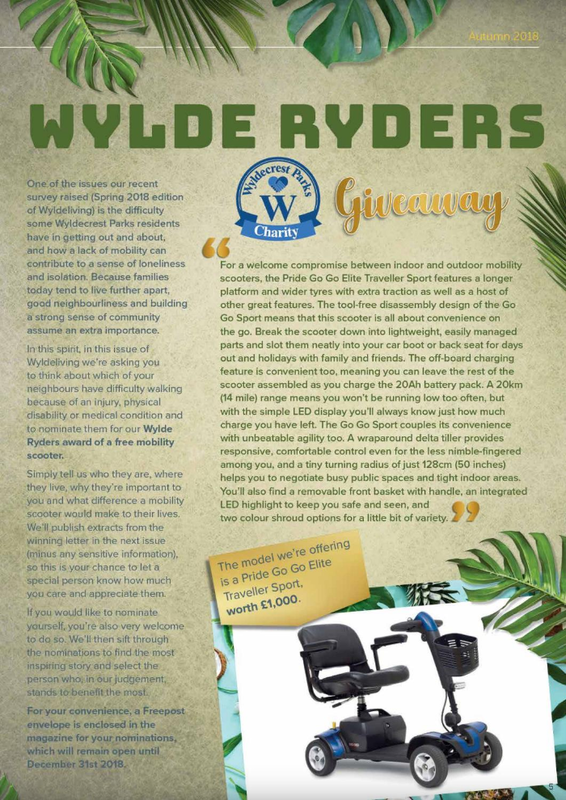 In the Autumn 2018 edition of the Wylde Living Magazine, we celebrated One Year of the Wyldecrest Parks Charitable Trust. 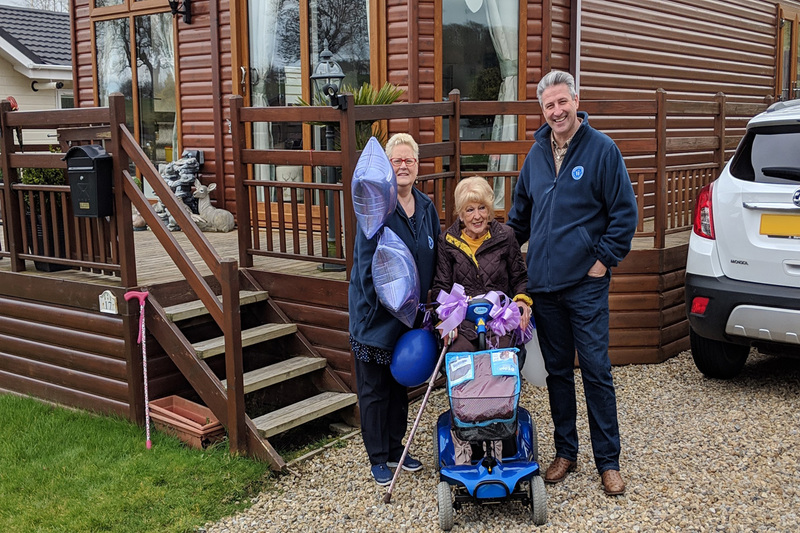 As part of this celebration, our trustees decided to hold a competition in which the prize would be a mobility scooter. 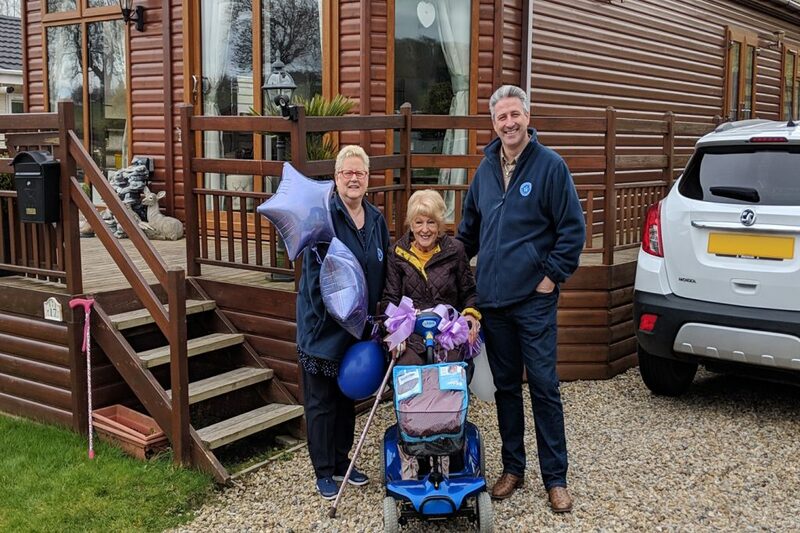 It had been highlighted to us of the difficulty some Wyldecrest Parks residents have in getting out and about and how a lack of mobility can contribute to a sense of loneliness and isolation. 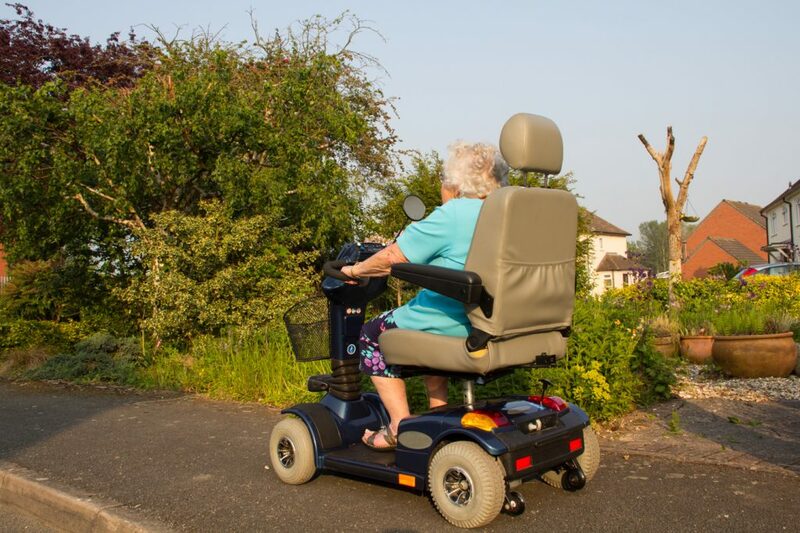 We asked our residents and park staff to think about which of their neighbours or loved ones could benefit from a free mobility scooter. We asked you to contact us and nominate somebody close to you who would be deserved of such a prize and how it would make a difference in their lives. Thank you to all of those who took the time to take part in this very personal competition, and we regret that we could not respond and help everyone nominated. 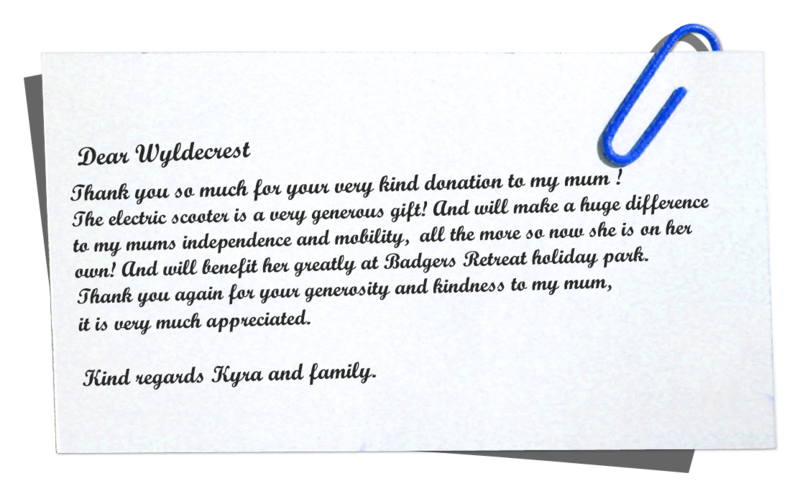 However one, in particular, stood apart from the rest, a nomination from the park manager at Badgers Retreat Holiday Park. Congratulations to Chrissie, a well-deserved winner.